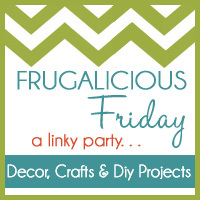 WOW...99 fabulous blogger's linked up on Friday and I am lovin' all the fabulous finds, crafts and Diy projects! To those who participated and gave me some linky love...YOU ROCK! I gotta tell ya, I am having so much fun surfing all the links and getting inspired. 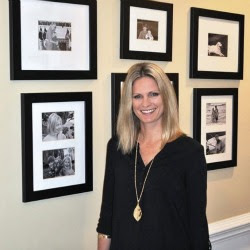 Here are a few of my favorites from this fun day all about $aving! 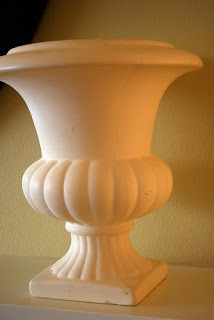 Barbara from Hodge Podge linked up her fabulous lamp revamp. Yup, this baby started out old and dated to say the least. 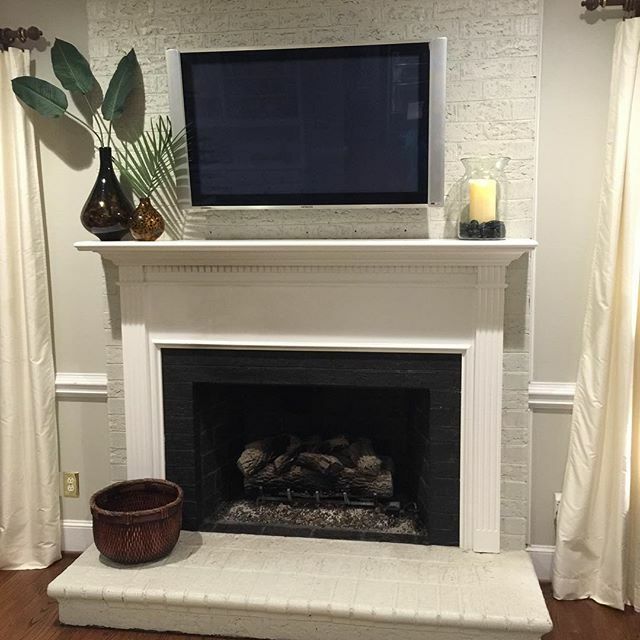 Barbara brought it back to life with high gloss paint and a new fresh n' modern lamp shade. I love this! Next Jen from Noting Grace linked up this great bench that was once a neon color and adorned with palm trees and famingo's...yikes! 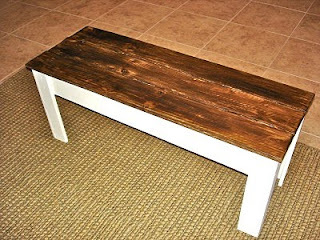 She painted the legs a fresh creamy white, stripped off the old paint on top, and stained it this great rustic wood tone. This bench is rustic and fabulous! 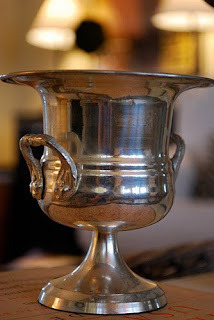 Check out these beautiful Urns linked up from one of my favorite blogs...Get Your Martha On! She scored these babies from Goodwill, and paid $7 for the large cream one, and just $1 for the smaller silver one. I'm tellin' ya, Goodwill is THE place for frugalicious, fab finds! Trixie from Flea Market Trixie linked up this bee-autiful, one of a kind headboard! 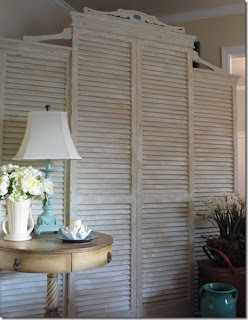 Believe it or not, Trixie made this piece from shutter doors and an old settee! 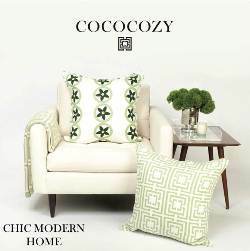 Wow, I gotta tell ya, I am feelin' the shabby chic vibe here...super cute and check out all the texture! Oh how I would love to sleep beneath this beauty, and wouldn't it be a great room divider too! And finally Sherry from No Minimalist Here linked up her Thrift Store chair transformation. She scored this chair from her local thrift store, gave it a fresh coat of paint, and then recovered the seat in thrifty drop cloth material from Home Depot! 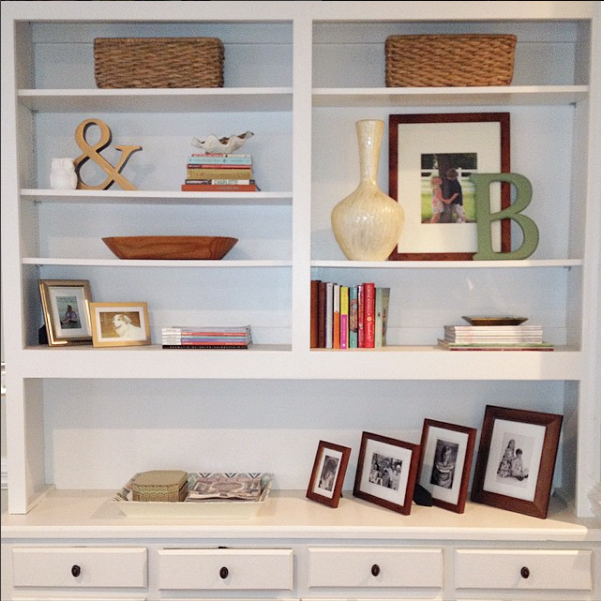 What a fabulous idea for a light and bright makeover. One word here...stunning! And if that's not enough...we've got a winner today too! Deena from her blog Be Creative Kindly offered up one of her fabulous card creations for a giveaway on Friday...thank you Deena! And so without further delay, out of the 99 participants in last weeks Frugalicious Friday, the winner is The Little Lizard King! Congratulations, and I'll be in touch soon. So that's a wrap! With 99 participants...Frugalicious Friday last week was Fabulous! If you participated...as always thanks for the linky love! And if you haven't linked up yet, Friday will be here before you know it! 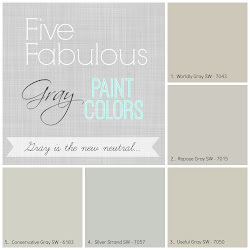 So link up, show us how you $ave...we want to see your fabulous finds, crafts and Diy projects! Ack...while editing my post, I lost all my comments!